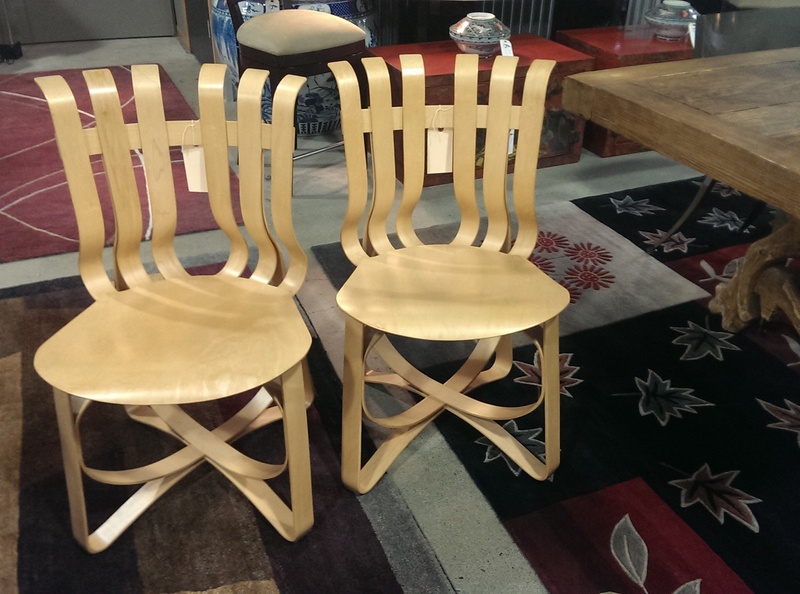 It’s a week for chairs: stunning silhouettes, mid-century modern and contemporary styles, some rare finds! Browse below, then stop by Monday-Saturday, 10AM-6PM at 2237 NW Raleigh St, give us a call at 503.222.6122 or email us at home@seamstofit.com with any questions. Remember Seams to Fit Home lovers; we cannot feature all of our items here, but we do feature additional gems on our Instagram and Facebook pages. Make sure you follow us, so you are up to date with other fabulous items: http://instagram.com/seamstofithome or https://www.facebook.com/seamstofithome. Inspired by the strength of the apple crates he played on as a kid, Frank Gehry created this original line of bentwood furniture. The ribbon-like lines “transcend conventions of style by exploring the essential challenge of deriving form from function.” A rare opportunity in the resale market, we have the two ‘Cross Check’ chairs priced at $1500 apiece–SOLD. 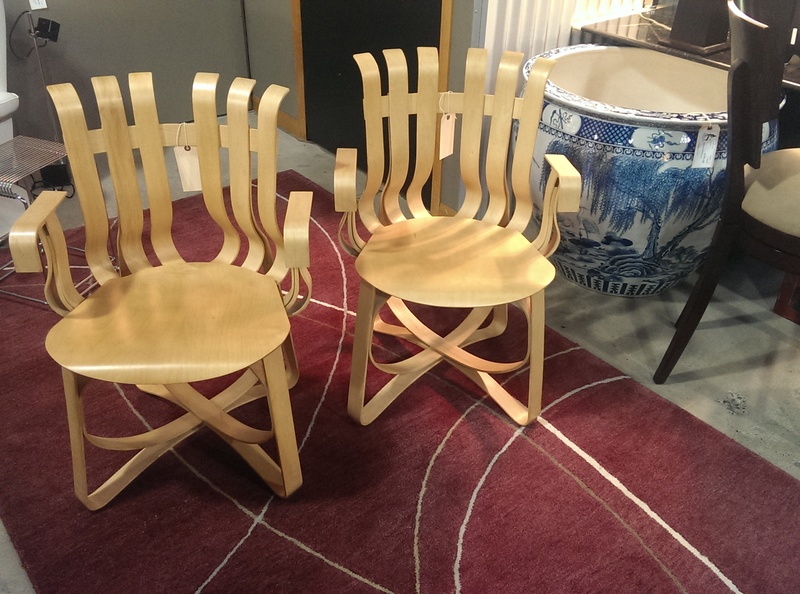 And the ‘Hat Trick’ side chairs below priced at $1000 each–SOLD. A first for our showroom, we have received this EcoSmart ‘Cube’ Freestanding Bioethanol clean-burning indoor fireplace. With a white lacquered exterior and including all the accessories, it measures 37″ square x 15 1/2″ deep. The original retail price is $5990, we have it priced at $2000–SOLD. 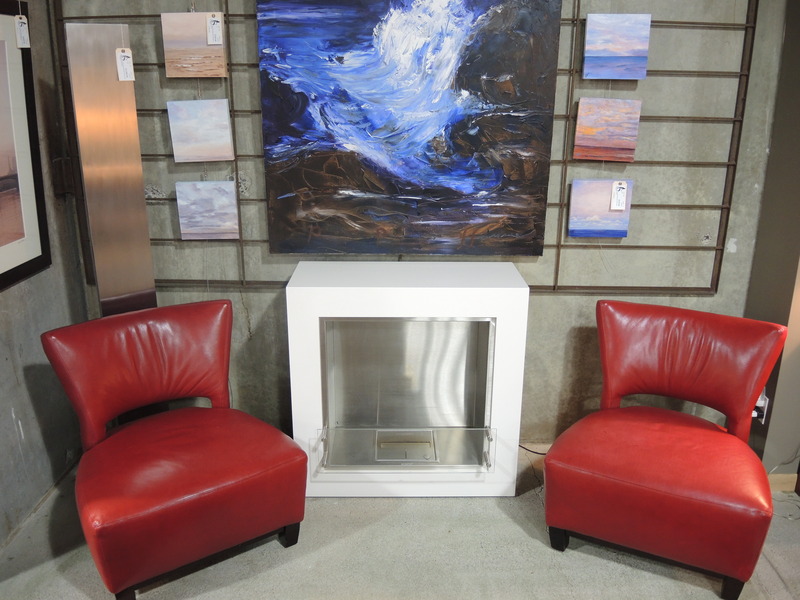 Two red leather contemporary chairs flank the fireplace, priced at $395 each–SOLD. And a stunning oil and cold wax Nancy Arko original, titled ‘Sound of Music,’ hangs above the scene. It measures 48″ square and is priced at $1300–SOLD. A set of three pristine, black leather ‘LEM Pison’ bar stools from La Palma have just come in. They adjust easily between counter and bar height and have sturdy zinc-plated metal bases. 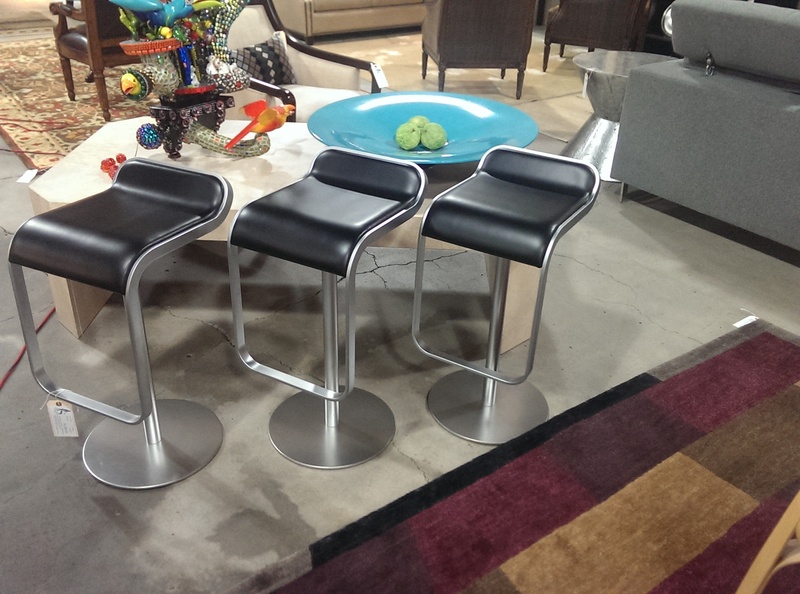 Each stool retails for $750, and we have the set of three priced at $1300–SOLD.